I can remember a time when I thought of dirt as something that only seemed to change about it was the color. I had noticed it when my family took vacations and even in looking at the soils in my grandparent’s yard since grandmom was an avid composter. But when I moved from Memphis to Enid, Oklahoma, the color change was so stark with the red soils totally disconnecting from the browns I had always called home. If you aren’t familiar with various soil types, the experts I turn to are farmers, crop consultants, extension specialists&agents and members of the Soil Science Association of America. In fact, the SSAA has a great website that tells the story of soil. 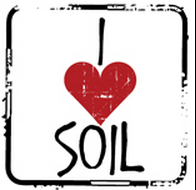 And I have an “I <3 soils” sticker from the effort on the bulletin board at the office. The way soils were formed has a big impact on their appearance, the nutrients and more. I played around thinking about what sort of information to share on soils and loams in particular and found a great resource for basic soils information from the Queensland (Australia) government. So I guess there’s no reason to recreate this info when they put it into words so well! Soil is the thin layer of material covering the earths surface and is formed from the weathering of rocks. It is made up mainly of mineral particles, organic materials, air, water and living organisms—all of which slowly yet constantly interact. Most plants get their nutrients from the soil and in turn, are the main source of food for humans, animals and birds. Therefore, most living things on land depend on soil for their very existence. 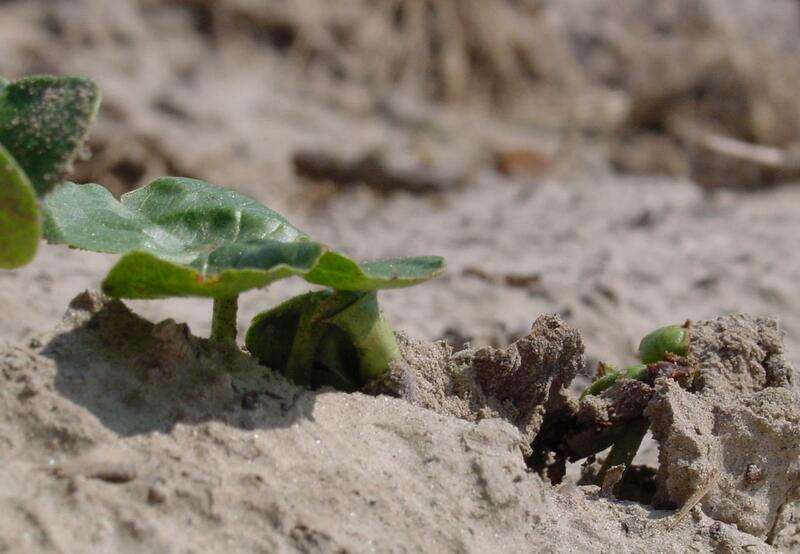 Soil is a valuable resource that needs to be carfeully managed as it is easily damaged or washed or blown away. If we understand soil and manage it properly, we will avoid destroying one of the essential building blocks of our envrionment and our food security. via Understanding soil (Department of Natural Resources and Mines). There is also a good handout on soils available from Penn State. Soil is an amazing substance. It is a complex mix of ingredients: minerals, air, water, and organic matter—the countless micro-organisms and the decaying remains of once living things. Soil is made of life and soil makes life. To the farmer, soil is where crops grow. To the engineer, soil is a foundation to build. To the ecologist, soil supports and connects ecosystems. To the archaeologist, soil holds clues to past cultures. To craftspeople, like potters, soil provides clay to make things. Soil has been called “the skin of the earth” because it is the thin outermost layer of the Earth’s crust. Like our own skin, we can’t live without soil. via The Story of Soil | I Heart Soil. What is a loamy soil? loamy (i) Texture group consisting of coarse sandy loam, sandy loam, fine sandy loam, very fine sandy loam, loam, silt loam, silt, clay loam, sandy clay loam, and silty clay loam soil textures. See also soil texture. (ii) Family particle-size class for soils with textures finer than very fine sandy loam but <35% clay and <35% rock fragments in upper subsoil horizons. So loams are a whole group of soils, just like clay soils then on the spectrum you get the combinations of the two. The photo here shows the silt loam soils that became a familiar feeling underneath my feet during my years in the Mississippi Delta. 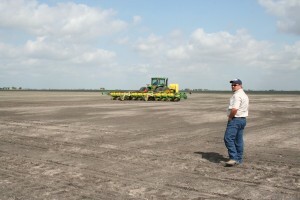 Those silt loam soils (aka ice cream soils) are perfect for planting cotton! And we are getting to planting time which is a time of great promise and hope for farmers, even if planting is running late due to the cold spring.